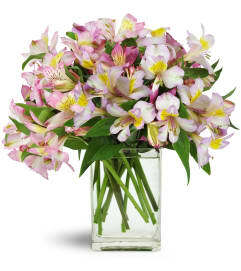 Created for the recipient that enjoys a fresh approach to fashion and design, this stunning flower bouquet is set to capture their every attention. 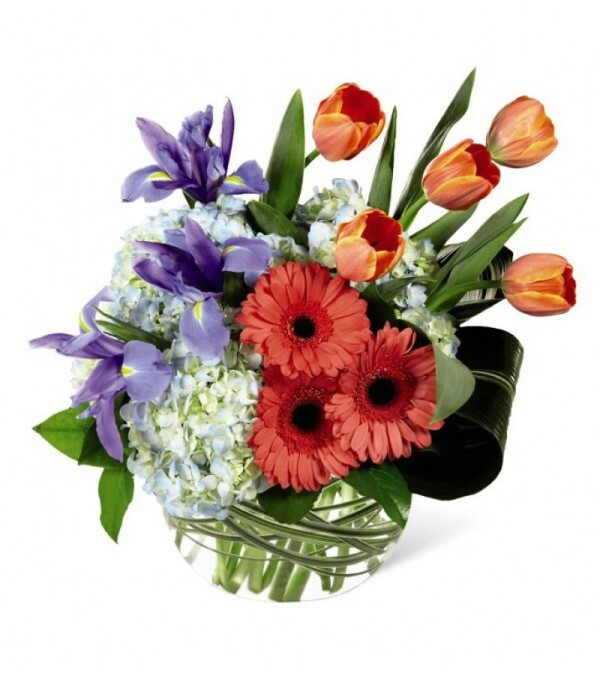 range tulips, blue iris, blue hydrangea, and coral gerbera daisies are offset by lily grass blades, lush tropical leaves, and fresh greens while seated in a glass bubble bowl vase. 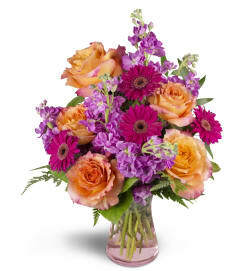 A wonderful Easter gift or for a special mom on Mothers' Day gift.